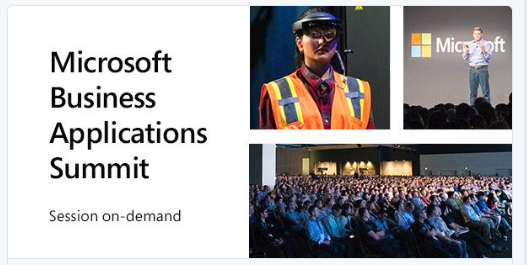 I am pleased to see the Microsoft Business Applications Summit has posted the sessions of the conference to view on-demand. These cover Dynamics 365, Power BI, PowerApps, Microsoft Flow and Excel. The sessions cover the opening keynote, product visions and roadmaps and the intelligent edge, intelligent cloud and mixed reality, so plenty of viewing to catch up on if you missed out on the conference.